You come to the NaturalDogBlog for information about Natural Dog Training, right? So what's going on...a review for a personal development book? Doesn't that belong on your other blog, Neil? Well, I'm glad you asked. A couple months ago, Steve Pavlina announced that, in conjunction with the release of his book Personal Development for Smart People, he would be offering pre-release copies to bloggers who might like to review the book on their blogs. I offered to be one of those reviewers, and gave some thought to where it most belonged. Sure, NeilSattin.com could use a recent post or two. But I think that what really strikes me about Steve Pavlina's book is the way that you can apply his 7 principles of personal development to any area of your life. In the 2nd half of his book, after he has introduced all 7 principles, he covers things like Money, Career, Relationships - but NOTHING on Dog Training! The gap was obvious, and I'm here to fill it. Plus, as far as reviews go, I think it might be more instructive to you to see those principles in action - and then you can decide whether or not the book is right for you. I do think it offers a great lens through which you can examine, and enhance, any aspect of your life. You may have noticed that on this blog there's almost no arguments. That could all change, of course, once we get the forum going! But for a couple exceptions, I've not made it my business to try to convince you of anything, particularly Natural Dog Training's "superiority" as a training method. I let Lee Charles Kelley and Kevin Behan take care of that. And they're much better at the debate anyway. My mission has simply been to give you as practical an application of Natural Dog Training as I can. However, as I was reading through Steve Pavlina's book, I started thinking about how his 7 principles play out in the dog training world. The basic idea is this: Imagine a triangle, and at each corner of the triangle are the following principles - Love, Truth, and Power. According to Steve Pavlina, those are the fundamental building blocks for personal development. In our lives, if any of these are out of balance, then we begin to suffer in that aspect of our life. And it's through correcting imbalances that we can grow on an intelligent path. You see, in Steve's world, the root of intelligence is simply that - the presence of all 3 basic principles in all corners of our life. So lets think about the two main schools of thought in the dog training world. The dominance model of dog training strikes me as being about Power (aka dominance, being the alpha dog) combined with Truth (hey, it does work a lot of the time). Remember how I was just saying that the combination of Truth and Power is the principle of Authority? (Please tell me that you're having an a-ha! moment right now.) Dominance training is based on being the authority figure in your dog's life - which works great in some situations but not others (as many people who have tried to dominate an aggressive dog will tell you). OK, now let's think about positive dog training in light of our handy little Pavlina triangle. I'd say that this style of dog training is about Love (aka positive, always rewarding the right behavior) and Truth (hey, this one works too - a lot of the time). This model of dog training is about experiencing Oneness with our dogs, which is great - just like being an authority in your dog's life is great - but still a little ineffective in some situations. I can't tell you how many clients I've had whose Oneness with their dogs fell short in a high-intensity situation. As you may have noticed in the articles discussing Natural Dog Training on this site, we often borrow from BOTH schools of technique. However, the underlying philosophy is different, and ultimately that results in a different approach to the "same ol' techniques" when they're being used - along with some totally new techniques. So you could (hopefully) say that Natural Dog Training, in using Power, Love, and Truth together, becomes synergetically something more than the sum of its parts ("intelligent" - in Steve Pavlina's words). The one leg of the triangle that we hadn't used yet was the COMBINATION of Power and Love - which results in the principle of Courage. 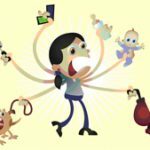 And those of you who have been trying out Natural Dog Training techniques for yourself might be able to relate - there's a LOT of courage required. Mainly the kind of courage that I'm talking about, I think, is the courage to see your dog differently, and to look at the world the way your dog REALLY sees the world. The courage to do some things that are, at a minimum, non-conventional, and at most downright "counter-intuitive" - at least when you have the traditional pair of how-to-see-a-dog glasses on. And often, with problem dogs, it's the courage required to take your dog right up to that point, the place where things can get uncomfortable, and to accept what your dog is doing in that moment - as simply a sign of the energy dynamics of life, and as an OPPORTUNITY to teach your dog how to relax even when things are stressful. It's the courage that allows your dog to be a dog, and furthermore to reassure your dog that they're safe giving all their "dogness" to you (which is what all that pushing and tug-of-war is about). So, at the risk of being immodest, Natural Dog Training is, as far as I know, the most complete representation of "the seven principles" in the dog training world. If "positive" and "negative" always worked, I don't think I'd have any clients! So maybe you can also imagine them as the "yin" and the "yang" of the dog training world - and Natural Dog Training is like "The Tao". It's transcending yin/yang that brings you to a sense of completeness (and, paradoxically, emptiness) - which, in terms of our relationship with our dogs, evolves into the kind of interaction that you want: a fun "connection" - with the authority to call the shots when it's keeping your dog (or someone/something else) out of harms way. It exists in the moment, and accepts everything as simply a product of "what is". Not that you can't change it, of course - but you can only change it once you've accepted what's REALLY going on. Oh boy - I can feel the flames coming my way now! I haven't given you much detail about the 7 principles - or about how to apply them to OTHER aspects of your life. Steve Pavlina's book is a great read, and I think that it'd be doing the book a disservice to try and sum it ALL up in a blog post. 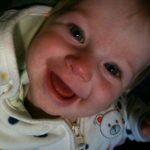 I think I can safely assume that if you're reading this blog you're someone who takes time to step back and analyze a situation, and who is looking for improvement in all aspects of your life (otherwise, why would you be reading about a completely "new" approach to dog training?). Steve Pavlina set about to define a complete way of understanding your life - a personal development book that didn't focus on a particular compartment of life, but one that offers a way to think about everything a little bit differently, a little more comprehensively - and I think that he succeeded. Once you understand the 7 principles, you can look at anything that you think merits improvement, identify which "piece of the triangle" is missing, and think of ways to add it back in - effecting balance and progress in the process. As for me, while my "dog training" might be in order - there are many OTHER areas of my life that could use some, er...triangulating. 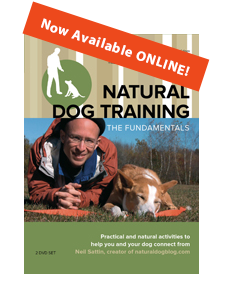 It's official - Natural Dog Training: The Fundamentals is here!